Can’t Make the Dance Benefit Concert but you still want to help? Purchase a ticket for a survivor to attend the event. All donations are tax deductible. Help us inspire and Encourage those touched by breast cancer. Donate a ticket today! 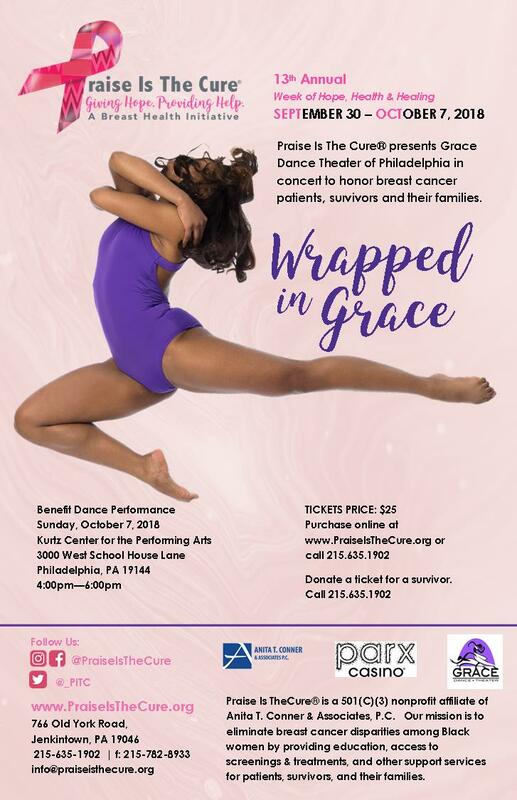 The mission of Praise Is The Cure® is to eliminate Breast Cancer disparities among Black women by providing education, access to mammograms, and support services.